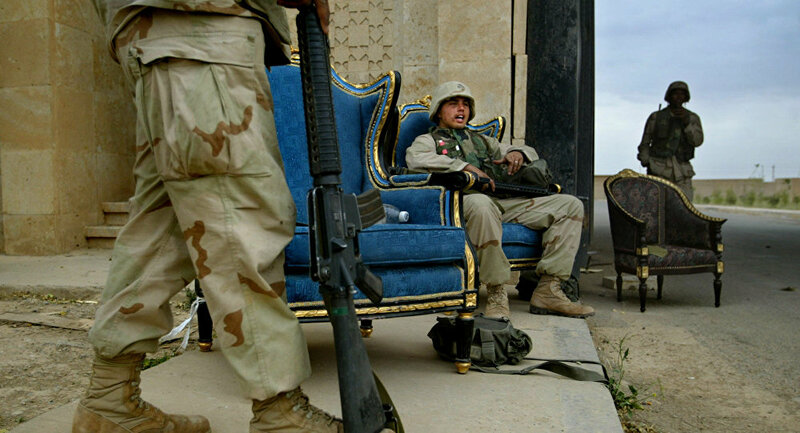 Speaking at a meeting at the Brookings Institution, a leading DC think tank, on Thursday, Rice revealed that "security," not democracy, was the real motivating factor behind the US invasions of both Afghanistan and Iraq. In Iraq's case, the former national security advisor (who also later served as Bush's secretary of state) revealed that the US "didn't go to Iraq to bring democracy to Iraq. We went to Iraq to overthrow Saddam Hussein, who we thought was reconstituting weapons of mass destruction, and who we knew had been a threat in the region. It was a security problem." The same was true in the case of Afghanistan, Rice said. "We overthrew them [the Taliban] because they were harboring al-Qaeda in a safe haven after 9/11." Rice denied that there was any conscious policy in the administration to spread democracy by force. 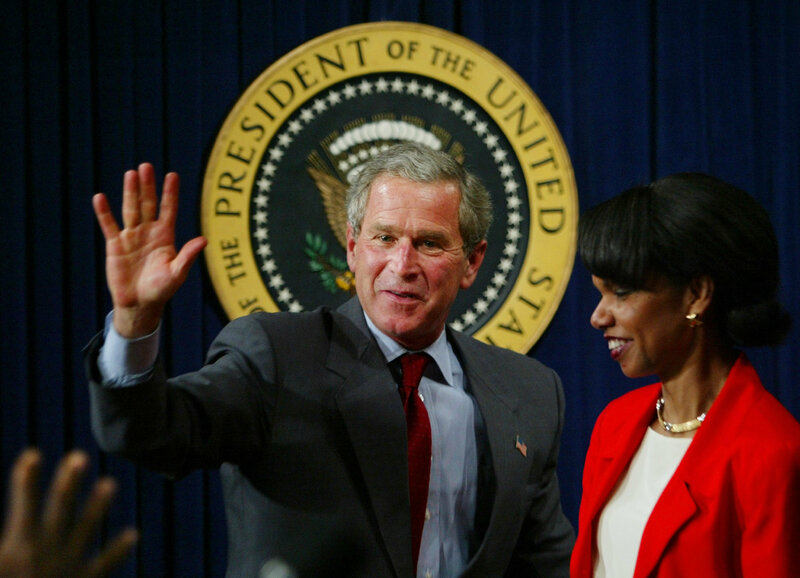 "I would never have said to President Bush – 'use military force to bring democracy to Iraq and Afghanistan,'" she said. This was the second time that Rice has publically admitted that the oft-cited Bush-era mantra of 'spreading freedom and democracy' was false. In 2011, she told ABC News that Saddam Hussein "needed to be dealt with," and that "we didn't go to Iraq to bring democracy to the Iraqis." Still, this is a major shift in tone from the lofty democratic ideals Rice had promoted while in office. An explosion rocks Baghdad during air strikes March 21, 2003. Picture taken March 21, 2003. Throughout 2003 and for years afterward, Rice spoke repeatedly about a "generational commitment to helping the people of the Middle East transform their region." A "democratic Iraq" was meant to "become a linchpin of a very different Middle East in which the ideologies of hate will not flourish," she stressed at the time. "Our task is to work with those in the Middle East who seek progress toward greater democracy, tolerance, prosperity and freedom," she wrote in a summer 2003 op-ed in The Washington Post. The US, Rice said, had "an opportunity – and an obligation" to "help" the people of the Middle East achieve freedom. The official even tried to tie the US war to transform countries in the region with the US civil rights struggle of the 1960s. As recently as last week, Rice rejected Donald Trump's 'America First' foreign doctrine in a new book, again comparing the civil rights struggle with US-sponsored efforts to 'spread democracy'. The US never did find the weapons of mass destruction that served as a pretext for the invasion. The war cost the lives of up to a million Iraqis, and nearly 5,000 US, UK and other coalition troops, wounding tens of thousands more. The destabilization caused by the invasion is also thought to have strengthened the presence of radical Islamist terrorism in the country. Speaking to Radio Sputnik, Georg Jakobsen, a professor of political science at the Norwegian University of Science and Technology and author of the book 'The Game: A Rational Actor Approach to the US-led Invasion of Iraq', admitted that democracy was a "secondary issue" to the Bush administration's reasoning. In reality, Jakobsen noted, the idea of 'spreading democracy' was aimed mainly to justify the US invasion. "It's important to justify invasions, or similar actions. Also, the introduction of democracy goes hand in hand with creating Iraq to become a more US-friendly nation that can be traded with…"
Asked why Rice may have changed her tune, the political scientist posited that it may have something to do with the fact that "she's no longer in a position of power, and so can speak more freely. It's been a long time since she was in government." Western-style democracy was just one element in the US toolbox to transform other countries, Jakobsen said. "The United States would like to transform other countries. Democracy is one part of it, but it also goes hand in hand with liberal capitalism." As the world's leading power, the US is interested in seeing more and more countries enter into the US and European-led economic and trade order, the expert said. "There is also a security aspect. They want countries to fall into both the economic order and the security order led by the United States. In that aspect, it is important to democratize, without taking into account local contexts, or whether it will succeed or not. And this has of course led to negative consequences like we see [with] the rise of terrorism – especially the Islamic State (Daesh)." "We also know from the study of conflict and peace that the regime types that are most prone to experiencing civil war are the ones we call semi-democratic regimes," Jakobsen explained. "That means those that lie in the middle category between dictatorships and full democracies. In order to transform a country from a dictatorship to a democracy, you have to move through that really dangerous category, which more often than not results in civil conflict and the rise of terrorism." Jakobsen recalled that "there was some hope [recently] in the signaling of the new president of the United States that he would change course, and maybe focus less on that kind of foreign policy." Ultimately, the political scientist suggested that "the solution here has to be some sort of joint effort by the big states – first and foremost by the United States and Russia. The United States needs to compromise – needs to go into negotiations, for example about Assad's future in Syria. They need to do that together with Russia." "Another thing that must happen, and there really is some hope now, with the new president, is that the United States must stop supporting rebel groups, and pressure other countries, like for example Saudi Arabia, so that they stop supporting rebel groups. So there is some hope for the future in the Middle East, but it's really dependent on the climate between the big players (the US and Russia). Both actors need to compromise, and Russia must also be regarded as a major international actor now," Jakobsen concluded.